Fabricate high-quality custom tools with Markforged 3D printers and service equipment more efficiently. Bring significant fabrication power into the field. Reduce customer downtime and costs. 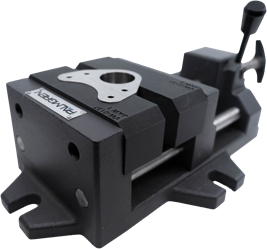 Affordably create more effective customized tooling. 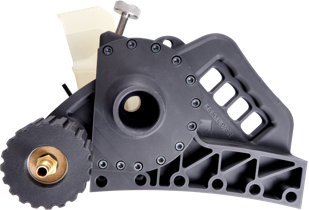 Siemens uses a Markforged X7 carbon fiber 3D printer to reduce the time and cost to make custom circular saws. Traditionally, repairing equipment in the field is an involved endeavor. Suitable tools are often not on hand and if custom hardware is needed for the repair, time and labor must be spent producing it. By the time the necessary tools arrive at the site, weeks of costly downtime may have already passed. 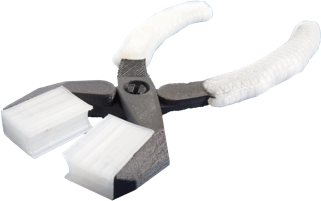 Markforged 3D printers provide the opportunity to create customized repair tools anywhere, and with minimal skilled labor. 3D printing allows for parts to be created onsite, shortening lead times and minimizing shipping requirements. 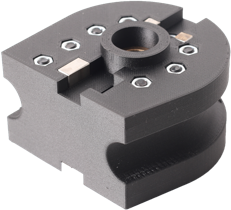 Customization is cheaper and easier with additive manufacturing, which allows for more useful tools that simplify restoration and reduce downtime.